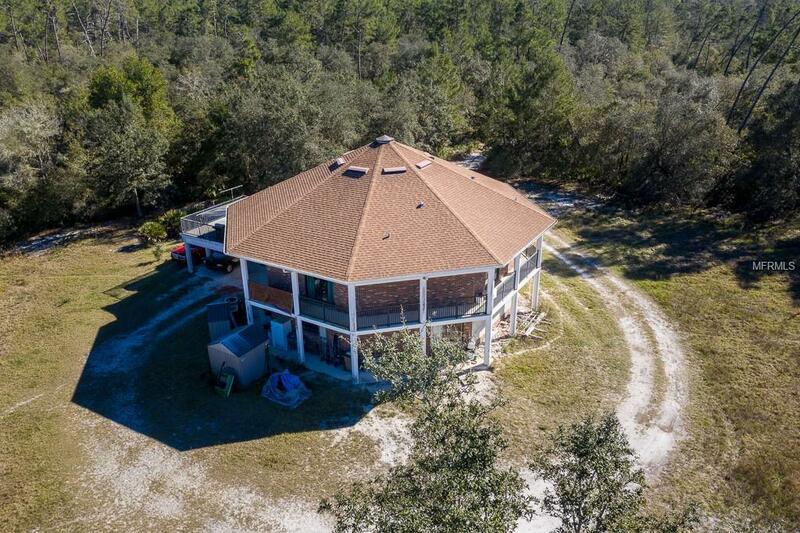 This is a unique one of a kind octagon home sitting on 39.4 acres of wooded land with 1 acre cleared around home. 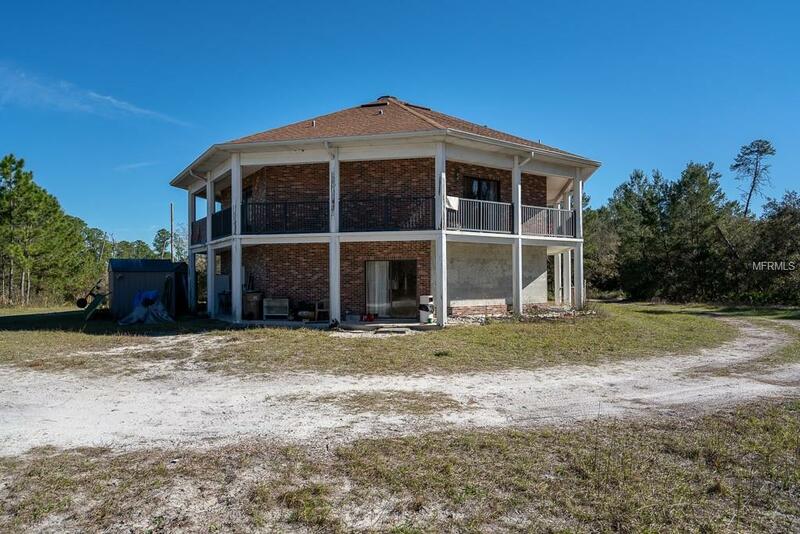 This property also includes access and beautiful views of Lake Lappin. 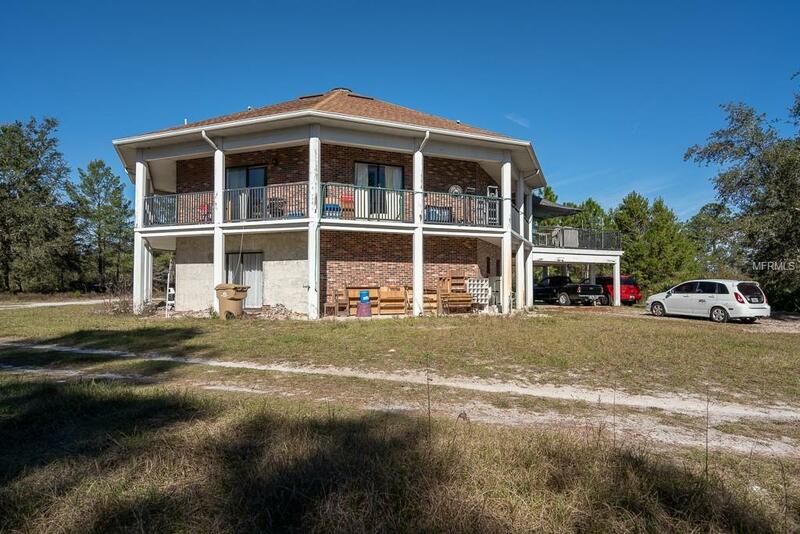 This is a 2 story home with 3,600 square feet that includes 5 bedrooms, 3 full bathrooms and a room/office/den. There are two kitchens in the home, one upstairs and one downstairs, open floor plan with a inside laundry room. 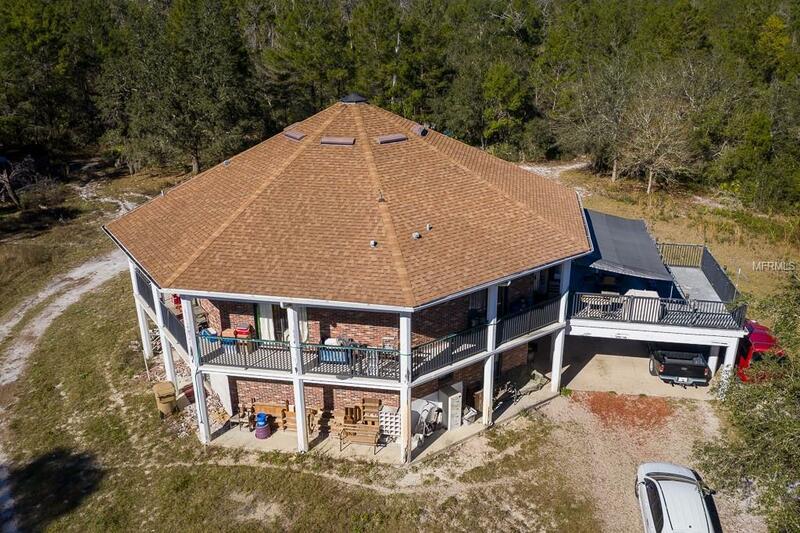 Both floors of the home have wrap around porches to relax and enjoy the wildlife. There are 2 air conditioning units and 2 water heaters. This home is a blank canvas for you to come put your own personal touches. Very private but still located minutes to Deland.SELLER IS MOTIVATED!! BRING ALL OFFERS!! !